The best PvP arenas are natural biomes bounded by the natural landscape. Players can use uneven terrain to protect or hide for lightning attack. No palaces and other similar structures will be compared to realistic places for battles. 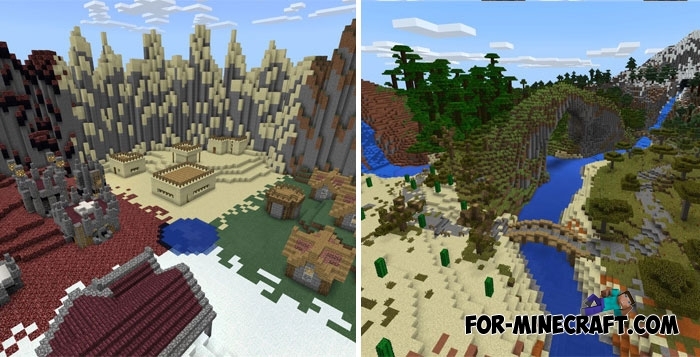 This map is designed for several teams or all against all, as there are 4 different arenas that symbolize biomes in Minecraft PE. 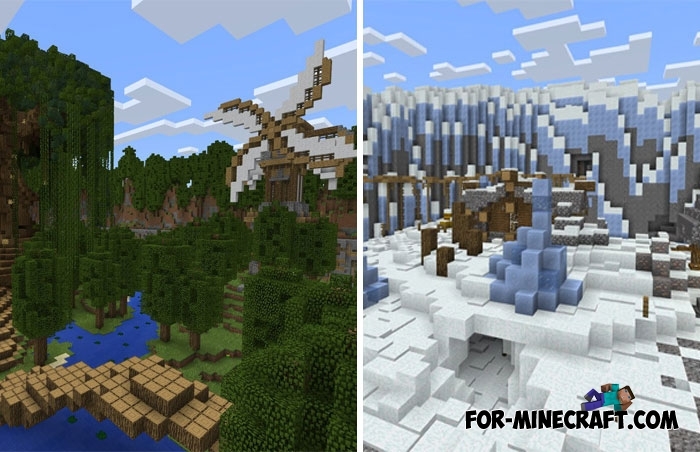 For example, in the winter biome you can hide in caves or defend your position behind ice blocks. Traditionally, virtually all large PvP maps additionally contain ready-made kits. So you no longer need to fill up your inventory, the map creator has foreseen and prepared several kits that are very similar in properties. Redstone Crafter Terrain map (MCPE 1.1.3)Are you looking for a ready terrain for survival, building beautiful structures or recording..